Need a professional for Northbrook handyman services and bathroom remodeling? Then look no further than the Gary’s Home and Bathroom Remodeling name. Because when it comes to taking care of your home only the best will do. If you are going to take care of that to do list you have been putting off then you should never settle for just any contractor. You want to be cure you have the best of the best taking care of your house. And at Gary’s Home and Bathroom Remodeling that’s exactly what we have to offer. 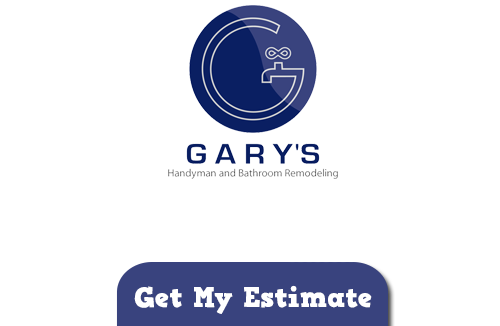 Launched in 2000 Gary’s Home and Bathroom Remodeling has been earning praise for years now for being the best in the business. And now we look forward to the opportunity to showing you firsthand what we do that sets us apart from the competition. We are proud of the impeccable reputation we have and intend on staying number one for years to come. Anyone familiar with the Northbrook area already understands why this is an ideal place to call home. This village on Chicago’s North Shore was incorporated in 1901 but changed its name from Shermerville to Northbrook in 1923. The high school was founded here in 1953 and the area boasts a public library and Northbrook Court shopping mall. With a population of well over 30,000 it still manages to feel quaint yet be a location you are in close proximity to everything you want and need. With so many reasons to love this place it is no wonder that our crew of experts here is proud to be the top choice when it comes to needing a handyman contractor in Northbrook. So let’s get started today with your next project. One of the more popular tasks we get requests for is the Northbrook bathroom remodeling job. We can design and help you transform this room from boring and purely functional to a relaxing space to find calm in at the end of a busy day. But we cannot get started until you give us a call. Transforming your home means creating a new look and feel. As your kitchen and bathroom remodeling in Northbrook specialists we know what it takes to get the job done. And now we invite you to prepare to make the same changes for your own home. Not only will you enjoy the space that much more but the property value of your house will immediately rise. Ready to get started? Then call Gary’s Home and Bathroom Remodeling; the experts who will quickly show you why we are number one for Northbrook handyman services and bathroom remodeling tasks. If you are looking for a Northbrook Handyman and Bathroom Remodeling Company then please call 847-800-4279 or complete our online request form.